Well, to be honest, it does not fit me!! That was me at 206 pounds and completely out of shape in October of 2015. 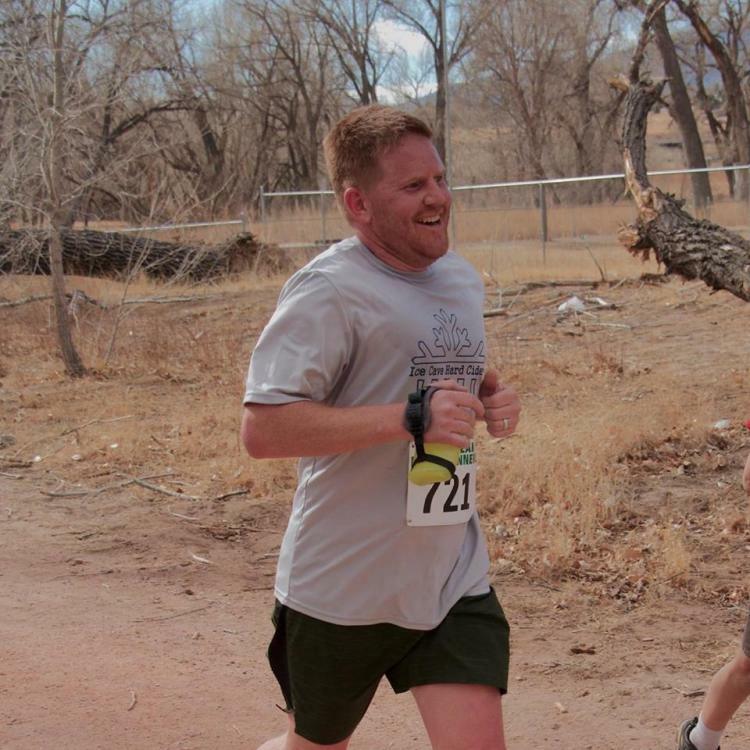 "How and the heck" does an overweight 40-year-old go from not being able to run a mile to successfully completing his first half marathon in February 2017 and set goals to complete the Pikes Peak Ascent and the ADT Marathon in 2017 as well? Well, let me tell you all about my journey and share what I have learned. I hope it is an inspiration to others. The first race, Rescue Run, was on January 1, 2016, and was a 5k. I had one week to prepare for the race. I owned nothing running related. I had a pair of gym shoes and that was it. So, I did the only thing that I knew to do. Just get out and start running. I started by running a lap around my neighborhood that was 1.5 miles each day during that week. I figured that would be enough to get me through 3.1 miles with a goal of completing it under 45 minutes. 1.5 miles around the neighborhood were the first miles I logged. Those miles are what have essentially led me to be able to run 13 miles at a time and logging anywhere from 20 to 30 miles per week. Those drinks with Shae, Vanessa and Andy led me down a path of losing weight, completing a half marathon, the Pikes Peak Ascent, Garden of the Gods 10 mile, Summer Round Up and the ADT Marathon.